So you are looking to learn Real Estate SEO for your Blog or Website. You’ve come to the right place. 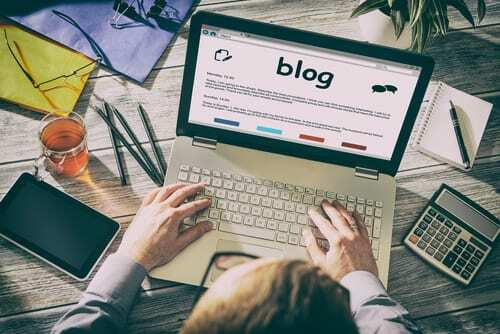 While there are is some terminology to learn in the process, you’ll find optimizing your blog or website for the search engines is not as complicated as you might think. How Can I compete with Zillow? The simple definition for SEO (Search Engine Optimization) is the act of optimizing a piece of content (webpage, video, image, map etc.) to rank on the search engines results page (SERP). The higher you rank, the more traffic you will probably earn from the search engines. The better your title and “snippet” which we will talk about in a bit, the better your click through rate. The goal is to first know how people search (keyword research) and possibly get ideas for pages to create. Next, we create amazing content and use on page SEO to optimize for the search engines. We work to create quality links from other websites who share our article and link back to us providing a certain level of authority with the search engines. As we increase our search engine visibility, trust, and authority, our rankings grow. Besides the transcript, you are going to find real estate SEO tips, tools, and how to links below. Dive in and enjoy learning about how you can increase traffic to your real estate agent website through search engine rankings. In today’s video we are going to talk specifically about real estate SEO, and ranking on the search engines for real estate. I’m going to tie in a little bit on generating web traffic as a general rule, where we tie in social media and pay per click advertising as well. I always do a what’s new in SEO at the beginning of the year, and that kind of covers the gamut of search engine ranking factors and what we need to know. 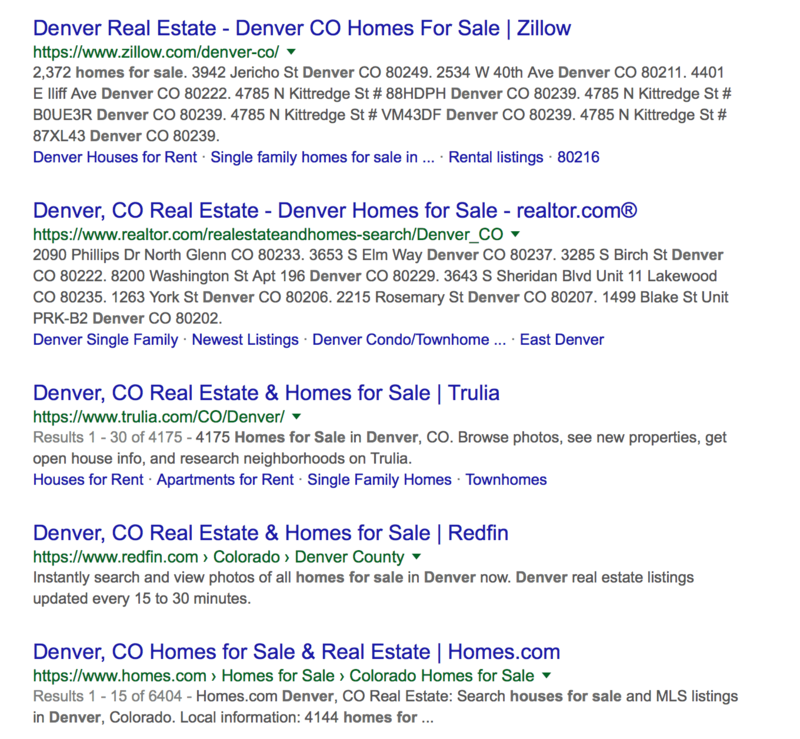 Today I want to specifically focus on real estate SEO. A lot of you guys are real estate agents and you are wondering, how can I compete with Zillow and realtor.com and Trulia and all the top people on the search engines? So many of you ask yourselves that question and then you answer yourselves that you can’t compete with them and so you just don’t. And I’m here to let you know that you still can, it’s just applying some very specific strategies that will help you still generate traffic, generate leads and business from google, from the search engines, from the web. It just may not be for those popular terms that you are automatically thinking in your head. For those of you that are watching us for the first time, or just discovering. My name is Lori Ballen and I do have a real estate team in Las Vegas. We serve Las Vegas, Henderson and North Las Vegas, under Lori Ballen Team, at ballenvegas.com. If you have any referrals for our market we would love to have them. I also own a marketing company. We build real estate websites. We do pay per click management, write your blog content, your real estate market reports, do your SEO, set up your campaigns etc. You can find this at ballenbrands.com. They are always changing. When you type something into Google, the results are shown on a page called a SERP, search engine results page. The SERP used to have a different number of advertisers on here paying for their ads. It used to have a bunch of ads on the right hand side. Things are changing, because mobile is taking the forefront. A lot of your desktop applications are modified as well so that they can respond on mobile and be mobile friendly, and so they are just carrying over some of those practices. They figured if right hand ads aren’t going to show on mobile, let’s not have them show on the desktop either. What we see on top are advertisements. Here is where you see an ad, ad, ad. For the popular terms, you are going to see three or four ads on the top of the page before you scroll. This is the scroll. Above the fold is everything you see in the screen before you start scrolling down the page. For those of us that are focused on search engine rankings that’s the pits, because the top four spots are ads, and I think Google has modified their ads to be less obvious that they are ads. What we have to do instead is figure out how we can rank for other keywords, even less popular keywords, more specific niche focused keywords that don’t have all those advertisers on the top. They also have these advertisers at the bottom down here. You can see ad, ad, ad, they are seven ads on this particular page. Below that what you’ll typically see in real estate is Zillow in the top spot, Trulia, realtor.com, Redfin, homes.com, before you get to any local brokerages or agents. Let’s pick another one, let’s do Denver. There is Zillow, realtor.com, Trulia, Redfin, homes.com. The same ones pretty much. Let’s take Boston homes for sale. This one I’ve never done as an example I don’t think. 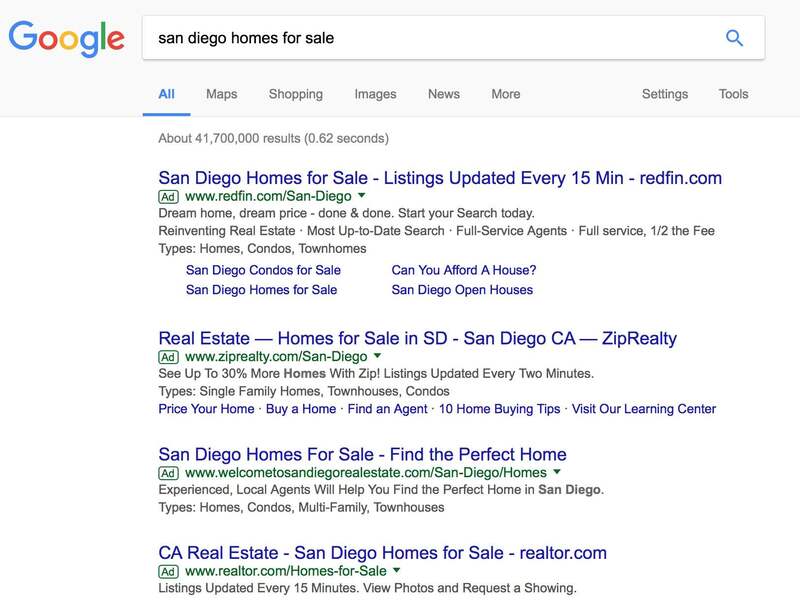 You get ad, ad, ad, and in this particular case Zillow actually even has this featured rich snippet right here which those are really brutal you guys. They are in that zero position, right underneath the ads. You can earn these as well, I do earn these as well. I believe there is a strategy to how these are earned, yet Google plays with these positions to determine who stays. Pro Tip: In order to earn a rich snippet of any kind, you must first create quality content. Generally, it’s the high ranking pages that earn the rich snippets. To earn that zero position knowledge box, include a table, table of contents or steps in a process. 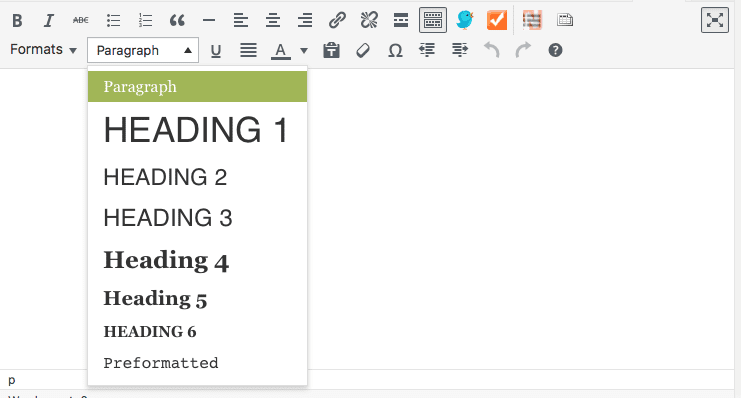 Markup your pages with Schema. Learn More about Schema, Structured Data and Rich Snippets Here. A long tail keyword will be our focus. This is a very drilled down, niche keyword, or set of keywords that create a more focused target. Example: Instead of San Diego homes for sale, it would be San Diego homes for sale in a gated community. Those long tail keyword phrases will often have, five, six, seven, eight, words in them. They are still considered a keyword although it’s really more of a phrase. Boston homes for sale in a gated community, Boston high rise condos in Boston. I don’t know Boston, I don’t know what you guys have there. 55 plus homes for sale in Boston, maybe. Those are going to be your long tail keyword phrases for example. Then underneath that rich snippet, you have your earned in ranked positions. There again we have Zillow, realtor.com, Trulia, Redfin. I’m here to tell you that you could get a couple of hundred to 1,000 leads a month, although it completely depends on your market. I hate throwing numbers out there, you could do a significant business if you were to get 50 more leads that actually converted at a higher level, because they are so niche focused. What we look at is in each market, how are people searching and how many people are searching that term. And sometimes that number is really small. One of my better ones only has 70 monthly searches a month. That’s 70 times in the United States that somebody goes into google and types ‘Las Vegas horse property’. I’m typically going to rank on that term, definitely in the top five, sometimes number one, depends on what I’m doing with my website, because we use my website as a test kitchen, as we build out our platforms. Sometimes number one, two, three, four or five. Usually in the top five. Now, remember. I don’t know Boston. I’m looking here on Google and typing in Boston luxury real estate. There you go. Boston luxury homes. You see these little phrases, these words popping up here as we type in the phrase. I love this. This is google suggest, and what it’s showing us is other phrases that people have typed in, in the last 90 days that are also popular. Some of these may not even have a large search volume tracking it because they are new and trending possibly. I look at these and wonder what of these keywords that are popping up could I potentially rank for? Could I potentially rank in a long tail form to get some additional traffic? For example, we know we are not hotels. I’m not going to do any of these hotels. Let’s focus on Boston luxury homes. I would first make sure that I have a community page on my website built about Boston luxury homes. Here’s a video on creating a great showcase page. In this video, we use a WordPress platform with the BREW them. On that page, I would answer questions about that area. I’m going to talk about the architecture, I’m going to talk about the general price ranges. Here in vegas, our luxury homes start at about the high sevens, (some people say a million plus) and go up to about $35,000,000, I think is our highest one right now. You might talk about the custom home builders that are building luxury homes out there if you have something like that. You might talk about the Boston neighborhoods that have these luxury properties, and about taxes. There are all kinds of things you could talk about in an article format in addition to showing those properties there. Waterfront, there is another one. Boston waterfront luxury home. This is a different page. When I’m talking about building out these pages, what I’m referring to actually is where we go into our website, and put in some text, some information and some links. We add in some properties (grid of homes) and we are going to include a map and schools. We are going to create this community page around something specific. Sometimes it doesn’t have a lot of text at all, sometimes it’s just a line of text, because there is not a whole lot to talk about. For example, if I’m building Las Vegas homes with a pool, there may not be as much to talk about with buying homes with a pool. It might just have a line or two there if any. 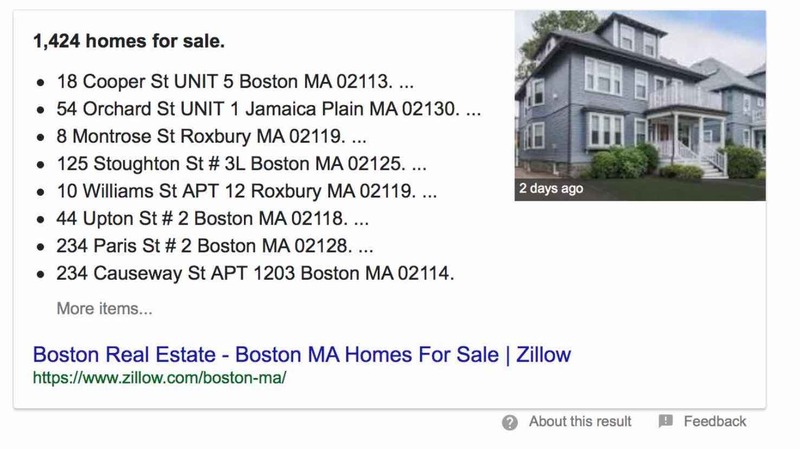 The goal here is to rank on the search engines if somebody types in Boston waterfront luxury homes for sale. Let’s go over to the search engine really quick and see who is showing up there already. So, ad, ad, ad, Zillow in the zero position. I’m already excited because there is a local showing up on page one. I have a Keyword tool that I absolutely love. And if you are going to use this tool I would really appreciate you using . It does benefit us a little bit. If you go over to loristools.com, you are actually able to see all the software that I use. I only talk about what I use. Nobody pays me to talk about their products. I have to use it. In some cases I do have an affiliate relationship where I’ll get a little gift, or a t-shirt or a monthly check even sometimes, depending on what they are. Maybe my account is free, or discounted. You can also get this from other sources like google’s keyword planner. If you are running ads on Google AdWords, you can use their keyword planner, and that’s one way to do it. There are more features in this tool that I like, but if you need a free tool you can start there. Down here what we see here is we have a list of keywords. Then we have the search volume which tells us how many people are searching per month for that term. Then we have the keyword difficulty. How hard is it going to be to beat out the competitors who are already ranking for that term? The higher the number of 100, the harder it’s going to be to rank for that term. Then we have the cost per click, this is on average what people would be spending on that. It kind of does indicate the value of that keyword, because if people are spending two, three, four, five, six, seven, whatever dollars, the higher they are bidding, there is a good chance that somebody has figured out that that’s a quality keyword. They are getting business from that keyword, and that’s why they are willing to spend more money on it. It can be indicative of a quality keyword. Pro Tip – Your website can be valued based on how much organic (earned in) traffic it gets. The calculation is figured from the keywords you rank for on Google that are bringing you traffic. Then each of those keywords is assigned a worth based on the cpc. The total is the amount you would have to spend on pay per click advertising to buy into that same amount of traffic you are earning. This is a great way to measure growth of your website. You are also going to have a couple of advertisers who are just bidding the heck out of something, because they want to beat each other, but typically we are going to see pretty standard cost on those. Then we have the competitive density of advertisers. This is how many advertisers are out there bidding, the cost and then how many. There are a lot of them, is that a small number of advertisers? And then where that keyword is trending, and then here we can actually click open the SERP, search engine results page and actually look at it on the page. OK, back to our Boston Research. The first thing we see here is western Boston waterfront. The second thing we see is renaissance Boston waterfront hotel. Hotels are clearly ranking on the top. We’ve got three, four, five. The first five are all hotels. Then you have the keyword phrase Boston waterfront. Restaurants. You may look at all this and go, “Gosh, there really isn’t a lot I’m going to use there.” I would tell you it still might. Let me give you an example of how this works with SEO this year and I’m sure beyond. Content and links still drive a lot of SEO, a lot of search engine rankings. When you create a great piece of content on your website in the form of a page, a blog post, an article, a press release, and you’ve got something on your website that you’ve done a really good job on, you’ve provided a lot of value on that website. It stands a chance of ranking well. It also has a certain amount of search engine power of its own, its own ranking power. You can link out to other pages on your website, sharing some of that linking power. Let’s take Boston waterfront homes for sale. You want to rank for Boston waterfront homes for sale. There are only 40 searches a month for that exact phrase. That still can be significant. You’ve got hundreds and thousands of phrases that people are searching on your website like this one. You could even have a small number that adds up to business. The higher you rank on the search engines, the more of those clicks you actually get. It’s important that you are ranking as high as you can for the search terms you are focusing on. 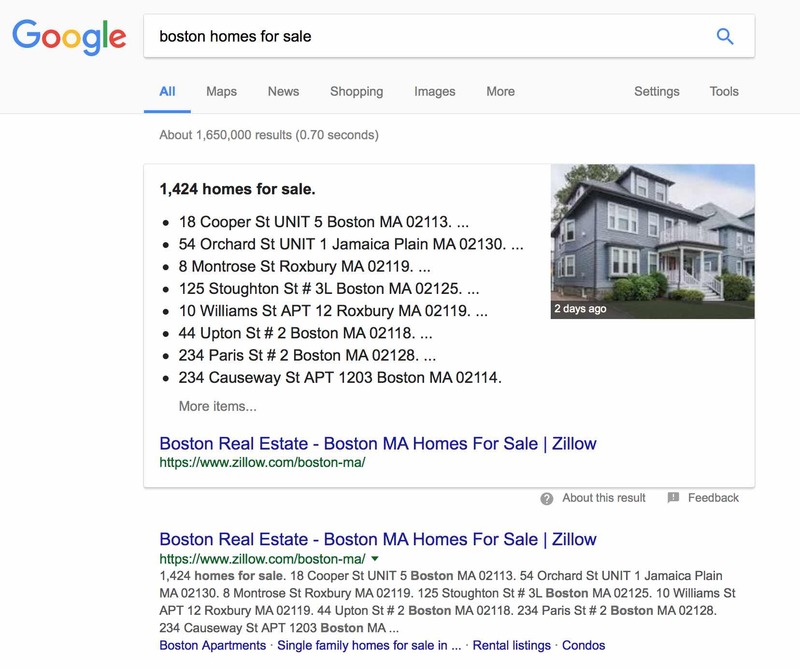 That’s another reason why we go after these long tail keyword phrases, because it’s easier to rank and position one, two, three, four, five on a long tail keyword phrase than it is on a head term such as Boston real estate. This one has a keyword difficulty of 70%. That’s not bad. That makes very happy when I see something in the seventies. Cost per click value is a $1. Not huge, but definitely a player. Something I would do and focus on and build on my websites. It’s probably not going to take a whole ton of effort. Competitive density, not a lot of advertisers in that space. Obviously I don’t know Boston, you guys might be laughing, because maybe there is just aren’t any houses. I might have picked the worst example ever. It was here and we are going with it, because I haven’t investigated the market. That could be one reason why it’s not high. Maybe there are just not a lot in that particular example. In fact, here is another thing you can do. Let me finish the thought process. What if I now go, I’m going to go after Boston waterfront in general. It’s got 1,600 monthly searches, it’s got an 80% keyword difficulty. If my website has good search visibility, I’m being seen by google, there is a chance I can get in there. It’s got a really good cost per click value for that market. Hardly anybody is bidding on it. Let me go build a page called Boston waterfront. Again, this might be a terrible example, I don’t know Boston but I’m going to create a page called Boston waterfront, and I’m going to write all about what that is. What is Boston waterfront? What is it? Clearly there is hotels there, does it offer anything else there? If I look down I can see some of these suggestions, Boston waterfront restaurants, we’ve got the Boston waterfront hotels. The first thing I would do I is I’d build a page titled Boston waterfront. Then the first paragraph is going to be called Boston waterfront hotels. 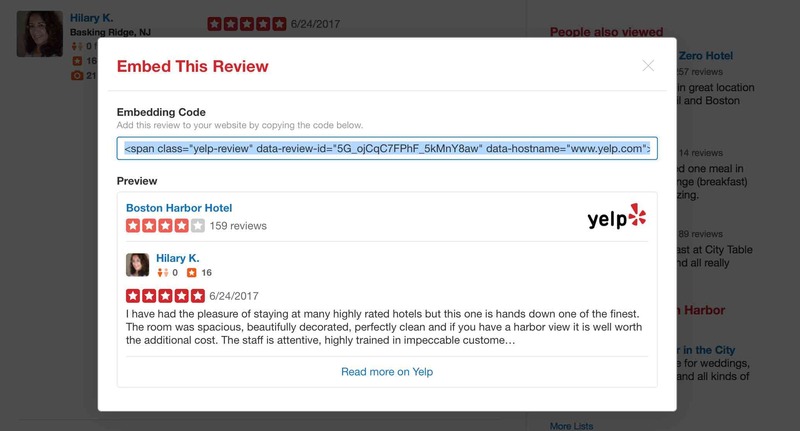 And I’m going to write all about the hotels there, and I’m going to make a list of the hotels there, and what people need to know about the hotels, and I’m going to embed reviews. By the way, in case you don’t know this, you actually can just go over to a website like Yelp, and you can type in, Boston waterfront. It’s so funny, I don’t why I went to Boston, I’ve never used Boston as an example. Something is going to come up later, I’m going to laugh. I’m going to get a real estate referral from Boston today or something. You go down here and you find like something that’s on the Boston waterfront, like this Boston harbor hotel. Click on it, it has 159 reviews. What you can do is go down here to pick one of these reviews, like this one here. It’s recent, it’s got five stars. I usually only do positive reviews unless I’m really … I’m not a critic. I’m going to take this, embed review. See that little thing there, click embed review. I’m going to take that code, then I’m going to go over to my website that I’m building, and I’m just going to add it. Let me a little content block. All you have to do is just click on text, and add it. 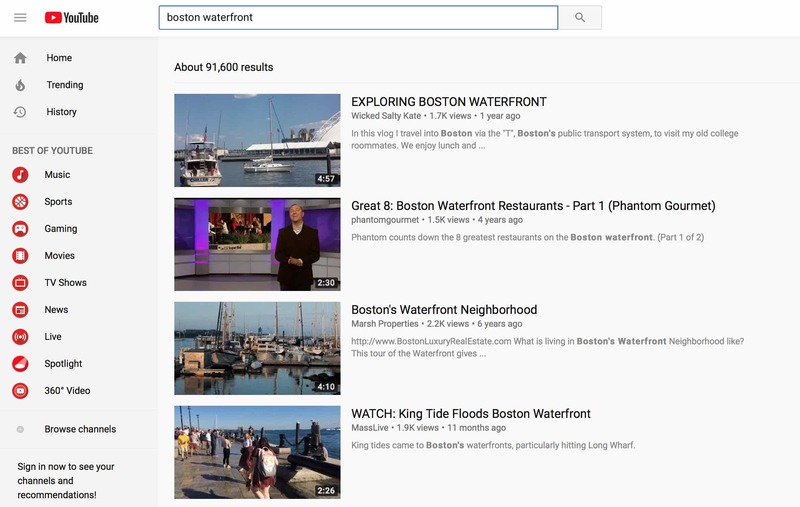 Another thing you can do to make this better, you go over to YouTube and you type in Boston waterfronts. Depending on the day, location, device and so forth, these results will vary. I’m learning all kinds of new things about Boston today. I don’t know if any of these apply. If you have a BREW (Ballen Real Estate Website), simply add the embed content block on your showcase page. Your video will resize to the correct width. If you are adding the code to a general page, you may need to resize the video by changing the dimensions in the iframe. You also can go to Facebook and do an embed. Let’s go over to Facebook and type in Boston waterfronts. Look, waterfront cruises. I’m getting all excited. This is what I do. I create content, I get to this visual and I just get so excited about where it could go, because I can see it, I can see it in my head exactly where I want this piece of content to go. It’s still exciting to me. We did waterfront hotels. We are doing waterfront restaurants on the same page. Now we are doing waterfront cruises. Where did I get this idea from? I got the idea from Facebook, because I typed something in there. Watch what I can do. I can take any one of their Facebook posts. I might look for a video. Video is really good for the user experience, I love to include video on a page as long as it’s not killing your load time. If you’ve got the right host it shouldn’t. Let’s just take this one here. All I have to do is go up to this little dot, dot, dot, and click embed. See that? This is a great example, I would not want this with the width of the page. I like this one more like a newsfeed, so that works quite well. You see all the ideas? This is what google rewards. The embed codes themselves are not here to rank. They are to provide a quality experience. This is what google rewards is this kind of content. 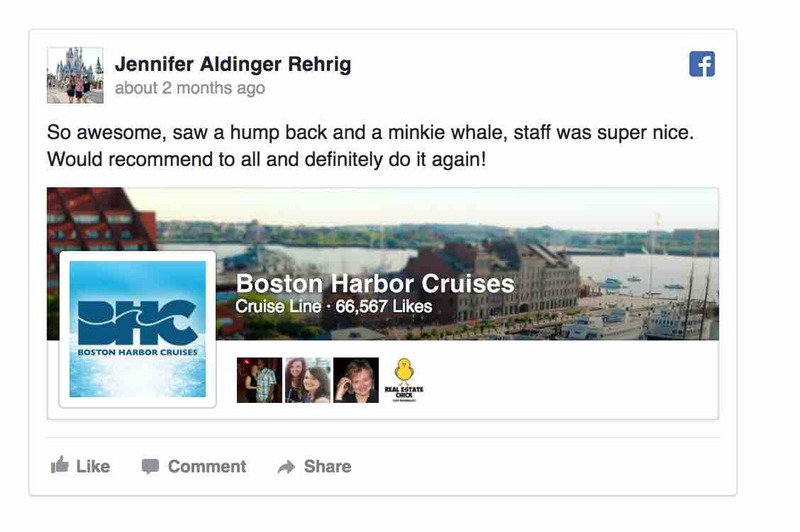 I’m going to make a list of all the things about Boston waterfront, and I’m going to include reviews and videos, and I’m going to embed Facebook posts. I’m really going to give that user some amazing insight on what that Boston waterfront offers. More ideas here show waterfront dining, and seafood specifically. You can do a whole page just on the restaurants. Waterfront bars could be your next paragraph. Each one of these paragraphs has its own bold heading. We call those heading tags, and in SEO we use these heading tags to kind of emphasize the importance of a segment or particular keyword. Kind of like an outline. For example here, if I were to go to ad layout, and go to general content, my first heading is going to be Boston hotels. And then I’m going to make this paragraph and list about Boston hotels. This is an H2 tag, or if you are using a WYSIWYG editor it does it for you automatically, you just type in the keyword phrase, highlight it, and drop down the Paragraph box to find the heading tab you want. Select it. Now, we make a list. Lists are very popular on content, and because they are popular with your users, they are poplar with google, and google will often give you that featured rich snippet when you create structured data like this. I’m not going to get too deep into structured data and schema today. I have other videos on that. I just want to let you know that these are very good to use. The H1 tag, the main one that appears larger and bolder is generally your title. On most WordPress themes, the h1 tag is added to the title automatically. You only want one of these on the page, one H1. Then your other paragraph segment should all be H2 tags. Boston waterfront hotels, Boston waterfront restaurants, Waterfronts bars would all be h2 tags. You don’t have to put “Boston” on everyone of those heading H2 tags. You can play with it, test and measure it, you don’t want to over-optimize with your keywords. However, I do like the location to be in those H2 tags. I just may not want to say the word Boston throughout the page anywhere else if it doesn’t make sense to do so. You never want to stuff keywords in artificially, that’s old school SEO, it doesn’t work anymore. It could trip to spam filters with google. You want to write more naturally. Then there are H3, H4, H5, H6 tags. These would be used similar to an outline where they are appropriate. Let’s take Boston waterfront hotels. This is a Heading2. Then you have a couple hotels that are pet-friendly. Now, underneath Boston waterfront hotels, you are going to add pet-friendly hotels. This is now going to be an H3, and it’s going to stay under the category Boston waterfront hotels. You might be sitting here thinking, why are we building a page about hotels and cruises when that’s not what we do? What we are going to do now is work hard to get this page to rank on the search engines as high as possible. We are going to reach out to other relative websites and say, “Hey, we thought you might like this list. This article about Boston waterfront might be relative to you.” Maybe to the newspapers, maybe to the cruise line because you mentioned them. I would contact each one of the people that you mentioned here, each one of those hotels, each one of those cruise lines. “I want you to see that we mentioned you in this great blog. Feel free to share it, here is the link. You can link back to us on your website”. Maybe you include like a little animated gif, or something that they can embed that has their name on it or something like that. Anyway, you are working to get links back to this article. Also highlight: To buy a waterfront home in Boston, click here. You are going to link this now to your page of homes, waterfront homes in Boston. What will happen is, some of that link flow will flow from this page now to that page. Your top performing pages (which you can see from using your search engine tools, Google Analytics, Search Console, .) should link out to other pages on your website you want to rank higher, because some of that link flow will pass through, and it will benefit the link receiving page. If I want my horse property page to rank higher, I could create a page on horseback riding in Las Vegas that ends up doing well on the search engines and I could link it back to my horse property real estate page, and potentially raise that higher. Not a lot of people would want to link to just my page of horse property, but they might link to an article about horseback riding. And that article might rank higher and therefore I can link back to my own property page raising the authority on that particular page, increasing its value. This is how you build this internal link strategy is by linking to other pages on the website that this consumer, this user would find valuable, and google is going to look at that link and potentially consider that page more valuable, because somebody clicked through from your other high ranking page. Our strategy is here is to build a lot of content. We are also going to have a website that loads in just a few seconds or less. Ideally, google would love to see our websites load in a second. If you host on their servers and get your website set up with accelerated mobile pages, AMP as we call it, you can get that to happen. That’s debatable, whether or not that’s a good move or not a good move, depending on who you talk to in the SEO world. With AMP, google hosts those pages, and so therefore you are paying google. Some people look at that as a conflict of interest. It doesn’t mean it’ll rank any higher, because you are paying google, and yet it might. AMP loads faster and could provide a more quality user experience. If you notice your website is really slow and you need a better host, and you’ve got a WordPress website you are interested in getting one, look us up at ballenbrands.com and we’ve got very affordable hosting packages. You want your website to load in just a few seconds. You want the navigation to be clear, and clean and easy, easy to navigate. You want everything to be mobile responsive. 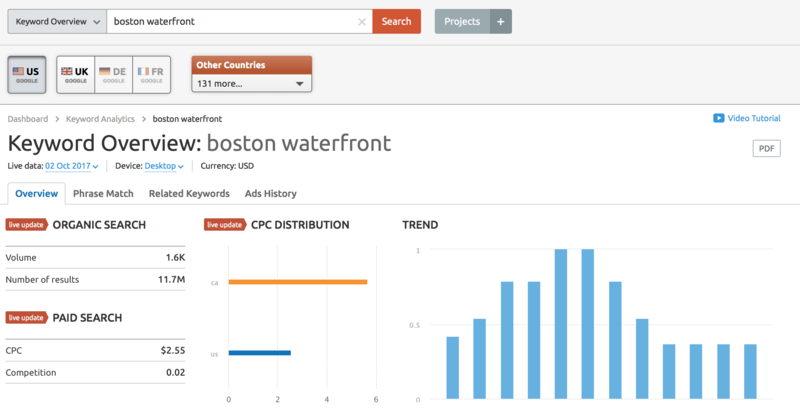 When you are doing all of those things right, and then you create phenomenal content, really great content, long form, dive deep content like we were doing with that Boston waterfront one, you are going to gain some search engine visibility. It can be be relatively quick once google starts seeing your website has new content frequently. Then, ranking on the search engines would be faster. How high they rank really depends on all the ranking factors with google. There are 200 ranking factors. If you create a really good quality user experience, and you are focused on that user more than google, you are answering these questions. What am I giving them today? What are they looking at? What problems do they have? What do they need answer to? Then you have a good chance ranking on the search engines. What you do with all these blogs and articles is you link them back to your real estate property pages. One of my favorite analytics tools is called Clicky. What you see here at a glance is irom Google Analytics. However, to me it’s easier to digest in a shorter timeframe. I can see what I want quicker, and I believe that google webmaster, Google Analytics is fantastic, but it’s geekier. For e average local business, do it yourself SEOer, this is more at your fingertips friendly. What I look is a few things. First one, I’m always looking at traffic where, this is my traffic today over yesterday. I can change that and look at today versus, there it is, today versus last year. This is what I really spend a lot of time focusing on. Did it change? It did, today versus last year, where did it go? I’m always looking to make sure that I’m up. It always goes straight down by the way of right now, because it hasn’t recorded the time right now. This will be constantly, it’ll go up. You will notice these little trends, similar, like everything dips its noon on my website, I’m going to find that trend to be pretty much continuous. Everything goes up, if my peak times are like at one o’clock, that trend will stay pretty similar. I’m kind of looking at that stuff. I’m looking at how many visitors I’ve had, how many actions they’ve taken, if they are clicking, if they are commenting, if they are sharing, if they are actually taking action means clicking, doing something on the page. Clicking through to another page, I’m looking at that. Then I’m looking at links, who is sending people to my website? I’m looking at what content is being visited? Let’s take a look at this for a second. If we go up here to content, let’s go to visitors. We’ll actually look for real. Right now, this visitor is on my website right this minute, I could actually spy on him if I wanted to, not like see his actual face, but I could see what he’s doing, what pages they are going to. The first one is, they are looking at IDX, this person is looking at homes for sale. This next one horse property, remember that? There is my example, isn’t that funny? This one came from Facebook and they are looking at listing. This one came from google organic, horse property. This one came from google organic, organic means unpaid, earned in. They are looking at information about Las Vegas. See this? Frequently asked questions about Las Vegas. Everybody should have one of those. Wherever you are, you need to have a frequently asked questions about your location. Those are very popular. This person came from another country, organically and they are looking at shopping in vegas. You see, none of those are specific, the horse property almost feels related, but the shopping one wasn’t, the facts wasn’t, but it leads them to those other pages. If they are interested in real estate, here is another one zip codes. Incredibly popular. In my market, and in most markets that I work with my clients in, zip codes are very popular. You can look exactly happened here. This person was on Facebook. And they clicked information about Henderson. They either did a search on Facebook, or they are following my business page, that part I’m not sure just looking at this right now. Henderson homes for sale. I probably have a post that goes out. I schedule those, I have a post that goes out about all the different homes in our area. From there they clicked on locations, they clicked on my Henderson zip code page. Let’s just go look at it so you can see. Let’s do it from the beginning. They clicked here. They clicked on my Henderson homes for sale page. This is what I’m talking about. I’ve got a pricing table. I’ve got a little intro, I’ve got properties, IDX, I’ve got description, I’ve got information about the neighborhood, long form content. Giving them lots of content to design your rank on the search engine obviusly if you are on social. Then from there they clicked on Henderson zip code. They want information about zip code. They clicked right here and they are looking at information about Henderson zip code. On that page I have all the Henderson zip codes built out. So they could actually start shopping for houses now by zip code. Underneath that I have, let’s see where they went. Now they went to 89052. This person either knows they want to live in 89052, they’ve done their research, or they are a seller. They have a house to sell. What happens is, a lot of times these sellers, they go looking for their neighborhood or their zip code, or their area, so they can kind of do this little self CMA to determine what their house is worth. That could be what this person is doing as well. Seven more, hold on they are not done. Where else did they go? After that they started looking at houses, they looked at this one, they looked at this one, then they went back to the Las Vegas page, looked at a property, looked at a property, looked at a property, looked at a property, looked at a property, looked at a property. Went to photo gallery, this is where they registered to become a lead. You kind of see the idea of how that navigation works on there. For SEO,we build out homes for sale with a pool. Home for sale with an attic, three bedroom homes for sale, four bedroom homes for sale in Henderson, all the price ranges, all the zip codes, all the school zones. We are not just allowing a widget to do all the work, we are actually building out all these pages so they rank. Take a look here at how people search. Clicky shows me some of the ways people are searching to find my website. First one is an address. This person was in front of a house and they googled the address, by the way that’s not my listing. It’s just because I have a strong website, I have high search engine visibility, I’ve got a great IDX, so google believes I’m an authority on that address, so it pops up. I’m not marketing somebody else’s listing, we just share the same IDX inventory and therefore we all could rank for an address. Second one, how to organize your life. That’s a blog post. Honest money and missed closing day. That’s a blog post. Here is another address. What happens when home loan does not close on time? These could be a frequently asked questions article about real estate or about loans, mortgage, finance. It could be a full blog post. In my case it’s all about home loans. Everything you ever wanted to know about home loans. And so that they click on that, and they go to that page. Still not closing 30 days after the contract closing date, you see how people type things in, roof top decks in Las Vegas. How many of you would stop and think to build on a page on your website about rooftop, homes with a rooftop deck? Let me show you where I get this idea from. I use IDX Broker, and I IDX Broker is what powers our BREW, Ballen Real Estate Websites. If you get a BREW, you do you get our Fancy Shmancy IDX, all customized and ready to go for you. If I were to go up here, I’m going to go to designs, widgets, create. By the way, if you go over to my website today, I don’t know when you are watching this video. Today when I’m recording the video, our fourth registration is actually off, and it’s off on on purpose, because we are doing this little test right now to see how many more user interactions and how many more page visits, how much more time on site we would get if we didn’t have forced registration on. Normally you’ll see 10 leads in the part for today, but without forced registration you get way less leads. Your leads are stronger when you don’t have forced registration on like, if they are only registering for, they are interested in viewing a property, so you want to set up a showing or they want information on a property, you are going to have a lot, you are going to have somebody with a real phone number, real information, stronger lead, but you have way less leads. It drops off instantaneously when you turn off force registration. You have to choose that battle. Normally ours is forced at the photo gallery, they can browse all the details they want, they can do as many searches as they want, but as soon as they want to click on photos, that’s when we trip the forced registration, but right now it’s off, like I said, because we are testing and measuring. This is my own test kitchen, my own vegas website is my test kitchen. I get to test it, see how things work, and then I go out there and make things better for you guys on the websites that I seel. It’s really a nice cool combination and it works well for me. Let’s just say that rooftop deck for example. I go to IDX Broker and I say, “I’m going to build a showcase widget, and I’m going to build a custom search advanced.” Here is how this works. You have all of these fields that show up that you can select from. You only have the fields that your MLS feeds out. You only have the fields that match your MLS. Whatever is in your ml you’ll see fields for. There are not all automatically here, what you have to do is you go to your IDX, and you go to pages, and I’ve got videos on all this stuff. By the way, I actually have a complete training system on how to do this at home. It’s called the Ballen Method. If you go to the ballenmethod.com, I’ve got course after course, after course, videos, trainings, how to do every single thing that I do, to generate leads through the web, search and social and pay per click. What I do is go down here to advanced search, this is a page on my website, this is this page. This advanced search page. And then I go over to customized column, and I go to fields. Click on fields, and then whatever category you are in, right now I’m in residential, because we are building rooftop decks. Actually a high rise might have more of those, probably high rise. I’m going to go to view settings, and then what I do is I scroll down here and I look at all of these on the right hand side, all the fields that you can have if you want them in here. Some may not apply, you may not want the garbage disposal fields, that you might have in your MLS. There are some things you may not want in here, but all you have to do, click the little plus sign, and it’ll show up there on the top, click save, or on the bottom, you can choose to have it show up on the top or the bottom. Click save, and now that field will be in your MLS. For the buyers to search and for you to build widgets around. All you have to do is go find rooftop deck, and once I’ve made that, let me just pick a random field here, because I don’t know where. Do I have rooftop? There it is. There is a rooftop deck. Let’s say I’m going to do a rooftop deck, all I would do is safe the widget down here, rooftop deck, I’m going to call this sample. How do I want to sort it? Do I want newest, oldest, most expensive, least expensive? In my case I’m just going to do the newest, our standard is we do a three column widget, that however many columns you choose is how big or small those boxes are. We use a three column, here is the example of the three column, one, two, three. If you made this a four column, you could put four columns, five columns, six columns, 10 columns, but each time you do that these boxes get smaller and more narrow, and more narrow, and more narrow. My test of showing that three columns is the ideal. Then I go down here and I’ll say, I’ll show 15 listings, I’ll show five rows. And then I want them to have to click the display more. I want them to click through to see more. If you have a BREW, you are going to click on little plus side and then add IDX Broker showcase widget, you are going to title this, shop Boston rooftop, roof deck whatever, what did it say? Rooftop homes. We are going to paste it here. Rooftop deck I think is what it said. And then I’ll show you it, let’s preview. There there, and then all your homes will just show up like that. It’s not complicated. None of this is actually complicated. People think SEO is so hard, it’s really just learning, what are the steps, what do I need to include, what’s important to include on this page? And then you go to work. You get to work building these pages, and you get to work blogging. Now people are always asking me what is … How much of what should I deal? It really depends. How much should you be blogging? I say build out every one of those community pages. While you are building out those community pages. You might be able to do five of those in the morning before you go start your day, you might be able to do 20 of those in the morning before you go start your day. You might be able to do 100 of those, because on days that you don’t have to be out in the field. You are going to build out as many of those as you possibly can, or you could hire a virtual assistant, you can hire a college student, you can hire one of your own children? Make sure you pay attention to all of the work laws. You could hire a company like mine, we do this for you, where we’ll build out your pages. You have lots of options of what you can, how you can build those out. My suggestion is that I would like to see at least once a month, and when I say at least I’m serious, at least, ideally you would more than. At least one real estate article a month, how to buy a house in Las Vegas, how to sell a house in Las Vegas, what are closing costs when buying a house, frequently asked questions about real estate in las vegas. First time home buyer tips for buying a house, how to buy and sell a house at the same time, what credit score is needed to buy a house in Las Vegas? Should I rent out my house or sell it? Should I rent the house or buy it? My credit score is great, my partner’s is not, how do we buy a house? How to buy a house when you’ve just got a job, which you are obviously going to put in there. They are going to need to wait blah, blah, probably for qualification, but you can accept … There is lots of ways to about that. How to prepare your house to sell. I’m not talking about 500 word articles on how to prepare your house to sell. That’s not going to do anything for you. I’m talking, go deep, dive deep, talk about how to prepare your house to sell, how to have a pre-appraisal, how to fix what, what appliances you should worry about or not worry about, putting in new carpet and paint, checking out your furnaces and your water heaters and your gutter. That’s so funny, we don’t have any of those things in vegas. All that stuff, how are you really going to prepare your home to sell? That article should be a couple of thousand words long. If you are really going to dive in deep. And you are using videos and examples. You are doing one of those a month. That’s all you have time for. You are going to write 500 words a week of that, and you are going to publish it at the end of the month that it’s going to be 2,000 words. Once a month I’d like to see hyper local. Hyper local is going to be something like frequently asked questions about your area, this person googled spring preserve, best gift shop award. Spring preserve is a local little museum type place we have here in Las Vegas, and it has animals, and it has events. So I did an article about Spring Preserve. Information about the local high schools, information about zip codes, things to do for the holidays, where to go to the pumpkin patches. Those are your hyper local. The reason we do hyper locals, because one it positions you as an authority on your market, two, it shows google, if it’s going to rank somebody that is a real estate agent in a particular area, the more you write about your area and real estate, the more likely you are to rank as an entity for that area and real estate. If anybody types in the word that area in real estate, there is a much better chance that you’ll rank higher, because you are proving to google visitors that you are a local specialist. In addition, every time somebody hits your website, they google something, they’ve got allergies, and they look up Las Vegas, how do I deal with these Las Vegas allergies? They click through and find your website, there is a memory stored, if they are locked into google in any way, they are using any of the google log in devices, they are locked into Google which most of us are most of the time now, then google stores a memory that they’ve been on my website before. If they click or engage or there is any quality signals that they like the website, the next time they do a search I’m going to be higher up on the search engine rankings for that person. That more that happens, the more likely they are to find my website, the more I’m creating that brand awareness, and the more likely I am to show up if they ever type in how to sell a house in Las Vegas, and I want that listing. That’s why we do hyper local. Also once a month a real estate marketer report. Some of my best leads come from my real estate market reports. If I were to go over here and google Las Vegas real estate market report. That’s a long video. Here I am, number one, I’m going to click on that, and this is what our real estate market report looks like. It’s got a lot of tailored content, it’s got archives of the old years or the old information. I’ve got grass, I’ve got current listings. It’s not super complicated, it’s really all we are changing, it’s kind of this here. What was last month’s what sold, what was the average price range? And then I can click on any one of these links, and it’ll take them to other pages, if they are here, and they are looking at the market trends, and they really want to buy a condo, and they click on condos, it’ll take them to my page that’s all about condos. This is SEO, this is real estate SEO, this is exactly how we do it. a real estate market report once a month, a hyper local blog post at least once a month, a really, really good real estate article at least once a month. All of your community pages, you are going to build out all your homes by feature, you are going to build out your neighborhoods. And then in addition to that, I also highly encourage you to get on YouTube, build a youtube channel and start cranking out some videos. For my marketing company, my number one lead source is Facebook. My number two lead source is google, and my number lead source is YouTube. For my real estate team, number one is Google, by a majority. Right now we are not doing as much other stuff for the real estate [inaudible 00:59:10] Google, because we are using it as our test kitchen. There was a time when YouTube was driving us for several years, the nice thing about YouTube is, you can make a video and rank on the search engines easier for YouTube. Check this really cool tool out. I’m going to come back and do a feature on this later. If you go to loristools.com and click on the Tube Buddy link. Where is Lori’s Tools? Right here, go down here, loristools.com and click on Tube Buddy, see if they have a free trial for you there. That is the coolest YouTube extension. What I’m able to do is I can go to my channel and I can look at, I can research keywords. I can see who is ranking number one for that keyword on YouTube. I can look at the competitive analysis for it, I can post live, I can syndicate and schedule a video to post on Facebook, all kinds of things. I’m not going to get any deeper now. I’m just going to tell you today, get on YouTube, make some videos, go out to the houses. If you are doing an open house, stand in the kitchen and talk real estate and make a video. Make a Facebook live video, how about a frequently asked questions series? Every week when you are doing that open house, you are going to answer one question. By the way, if you don’t know what questions to ask, go over to answerthepublic.com and type in something about how to buy a house. I want this in English. They are changing it. How funny? That guy wasn’t yelling at me last time I was on here click on how to buy a house, go to your results, change this to a list form, so that you can read it, data, where is my list form? They changed it. Alphabetical, there you go, let me get that out of that box. How to buy a house young? How to buy a house you can’t afford, how to buy a house on YouTube, how to buy a house you are renting. That’s a good one. I like that one a lot. I don’t think I’ve done that one, I need to make a note. How to buy a house you’ll sell, how to buy a house you rent, how to buy a house in your twenties, how to buy a house without a realtor, how to buy a house with no credit, how to buy a house with a VA loan. How to buy a vacant house. How to buy a house with a mortgage, how to buy a house without a mortgage, how to buy a house to flip? You see all these kind of things, you can also go to quora.com where people type in real questions. Here is an example, remember how I said people log into google and they don’t realize? See how Quora popped up and it had a log in with google? As long as you click that button you are logged into google, and now google is tracking your browser history. You can go up here and type in, how to buy a? And see how the questions start appearing? How do I buy a house in Singapore? How do I buy a house without money? How to buy a house without credit, how to buy a house without a permanent job, how do drug dealers buy houses with their dirty money? Don’t answer that question. That’s hilarious. Switch that, how to sell a house, obviously you don’t want to write a whole bunch of blog on how to sell a house with crappy credit and no money. You should have one, what is a credit score or that type of thing. What’s the best way to sell a house, what’s the fastest way to sell a house? How to sell a house in probate. There is a good one. How do I sell a house in probate? How do I sell a house for … You can change those words, and it’ll give you other suggestions. You can take some of those ideas, you can just go to google and type in buy a house. I’m going to find the people that often ask. Here you go, look down here. People also ask, where do you start to buy a house? How do you buy your first home? How can you buy a house, how long does it take to buy a house? Watch what happens, when I click on one of those, and it opens up, it gives me a new set of questions. How long does it take for closing on a house? Click on it, it’ll give you a new set of questions. What do I need to bring to closing on a house? It gives you ideas for what paragraph to include if you are going to write a blog post on how long does it take to close a house? Or the closing process when buying a house in San Diego or whatever. Each one of these things you click on gives you a new set of ideas. Another idea is to go over to SEMrush and to type in how to buy a house. And you are going to get a whole set of keywords, and ideas, and you could look at your competition and see what they are doing. Guys, here you go, how to buy a house with bad credit? That’s 4,400 monthly searches a month. How long does it take to buy a house? How to buy a house with no money. Obviously you are seeing how long after bankruptcy can I buy a house. That’s a great blog post. That is a killer blog post right there. Again, 500 words aren’t going to do it. Where 500 words will do it by the way, is if you are writing a community page, you are writing a little critique on a restaurant, those little things, you are writing something just for social, you just want to kind of answer a question. Those kind of short are fine, but if you are gunning for the search engines that are super competitive, you’ve got big places writing these comprehensive articles, you’ve got to go deep, you’ve got to really inform … If you think about your customer, why wouldn’t you anyway? I’m going to ask answer this question in its entirety. I’m going to dive as deep as I can, and I’m going to provide the best quality experience for this user. If you do that you are naturally going to write thousands of words. By the way, if you don’t like to write, put yourself on video on record yourself speaking on the phone. Go over to rev.com, upload your recording, and for a buck a minute, they’ll turn it into written word. A dollar a minute, they also transcribe videos. You can talk, answer the questions, say it into your cellphone, hit the little recording app, save it, send it to rev.com. You talk for 10 minutes, it’s $10 to turn that into a blog, into a written word. It’s not going to put images, it’s not going to put links, it’s going to be a transcript. You are going to have to go in there and edit it up, because you might want to take out the … You want to make it look more like a blog and optimize it. I’ve got tons of videos I’m optimizing as well. For a buck a minute. Guess what? In 10 minutes you might have said 2,000 words. There is lots of ways to do this. Don’t let your limiting belief stop you from doing these things. You also can hire ghost writers. I’ve got lots of blogs and lessons plans on how to hire a ghost writer. My company ballenbrands.com does content, obviously we are going to be more expensive, we are going to optimize it, we are going to do all the SEO stuff for you. If you hired ghost writers they give you the written text, and then you go in there and optimize it, add your own images, internal links and things like that. If you don’t know how to do it, watch my videos or buy the ballenmethod.com and watch the lesson plan on optimizing. I teach you how to do the search engine optimization, where to put your links, what images to include, how to title and tag those images for SEO. How to do your structured data and your schema mockups, so that you can earn those rich snippets, lots and lots and lots of stuff in there. Don’t get too caught up. In a future video I’m going to talk about how search and social are dating and how they are going to be married eventually in the future. And for SEO, what I would tell you is, the likes and shares may not be a direct ranking signal with google, but the traffic is. The traffic is an indirect, can indirectly affect your search engine ranking. If you are posting on Facebook, and you write a great blog on the massy haunted houses for Halloween in October in your market, and it goes viral and everybody clicks on it, and goes to your website, that traffic boost does have benefits. Potentially you could pick up buyers or sellers from that as well, people that are looking at haunted houses might be looking to buy or sell in you market. Like I said, there is other reasons to do that hyper locally. You run Facebook ad, you’ve got a new listing, I’m running Facebook ad, I’m going to spend $150, I’m going to run it for seven days, and you get thousands of hits, or hundreds of hits, whatever it is depending on your market on that page that definitely can benefit you, especially if people are registering to become a lead. There is a goal on the page that they are accomplishing. They are clicking through to other pages on your website, those are positive signals for google. Those can benefit you. Social does indirectly affect your search engine rankings as well. Also reviews, testimonials, I’m going to cover those on another one. I will just tell you this, please, please, start gathering your reviews. They matter for search engines, they matter for social. Get those reviews, make it a full time focus, the BREW website really cool, we have a super easy way to add reviews and images and what not. You want to get reviews on your Facebook page, you want to get reviews on your google page, and you want to get reviews on your own website. Zillow, Trulia, Yelp, all those are secondary in my opinion. If you live off of Zillow, then your number one might be Zillow. You have to choose that. For me, if somebody goes to google and types in Lori Ballen Team, they want to look up information, I want that aggregate Facebook, google score on the right hand side to be really high. For me, those are my three focuses. My own website, Facebook, business pages and google my business, the google page. Really start working on these reviews, it is a ranking factor. Google is listening to brand mentions, and with or without a link they are listening to brand mentions and you want to have a positive brand out there. The better you brand yourself, the more likely you already have brand searches which benefit you on the search engines. Obviously there is lots more to this, but this kind of gives you real estate SEO in a nutshell. IDX pages, real estate articles, hyper local articles, monthly real estate market report, videos on YouTube, social interaction and reviews. Those are what I covered today that are really important to make sure that you are focused on and working on for your real estate SEO and search engine rankings in the future. Again I’m Lori Ballen, I’d appreciate your referrals in Las Vegas, Henderson, and North Las Vegas Nevada, at Lori Ballen Team, ballenvegas.com. And check out ballenbrands.com, if you need a website, content, pay per click management and the ballenmethod.com if you want to learn all this and do it at home. I will talk to you guys all later. Thank you so much for joining me today. Deep dive, go long. Get really INTO your topics. What are closing costs for a buyer or seller? Should they scrape those popcorn ceilings before selling? What if they need to buy before they sell? You’ll need 1500 words or more in a really great long-form content blog to make sure you are nailing all of the points a buyer or seller would have. Tip: If you don’t like to write or type, put it on Video or Audio and have it transcribed to written word. (Rev.com can do this for $1 a minute) – Got 5 bucks?? The power of video is incredible and few real estate agents are doing it. You can create videos around neighborhoods, information, testimonials, feature local businesses, capture fun LIVE videos of your team in action during the day. There’s even a great tool for Youtube that will help you measure if you are using the right keywords! Use Social Media to Drive Traffic to Pages you Want to Rank For. Get those visitors to your website every chance you can. Running an ad on Facebook to generate traffic on a page you want to rank for can have an indirect benefit besides leads from the ad. When you want the search engines to recognize a newer page, a high traffic signal could get their attention. If that user then clicks, takes action, and spends some time on that page, it sends a QUALITY signal to Google which can cause it to rank faster and higher. Google wants to return quality webpages on it’s SERP (Search Engine Results Page). It knows that the better job it does of returning the right website, the more that user will come back to Google. A good measurable time on site (work to achieve more than 4 minutes in a session). No annoying forced pop up’s on landing. No boring huge blocks of text that cause the user to bounce off. Today, it’s a huge benefit to become obsessed with reviews. Another quality signal for both the search engines and customers is reviews. This is the best news for most real estate agents and the worst news all at the same time. The great news is that you don’t really have to understand much about general SEO when you can create amazing, valuable, quality, original content. Yep. That’s where I lose most of my real estate agents that I train. Right there. At valuable, quality, original content. I mean really, how many real estate agents are great bloggers? Where I start most of my clients is with this simple activity. Every time you are with a client, write down their questions. Do it there or as soon as you leave so that the questions are fresh. When you get back, write out the question as a title on a blog post. Next, answer their question in writing on the blog post as best as you can. Do it completely yet without stuffing in any keywords or “fluff” to fill in words. Read it back to your self and ask yourself if you were in someone’s shoes who doesn’t know real estate, would that answer it? If you are courageous enough, do it on video. Then, send the video over to a company like REV.com who for only $1 a minute will transcribe your video to a written word. Now you have a Video to put on youtube and a blog to include on your website. What if I get multiple offers on my property? How does earnest money work? How much are closing costs when Selling a home? How long does it take to buy a house in (city)? Can I buy a house and not put my spouse on the loan information? What if the buyer misses the closing date? Should I buy a house with an HOA? Which buyer is better: the cash buyer, fha buyer or va buyer? How much will it cost to buy a home in X? Get the idea? Let your clients come up with the questions. You just answer them. Once you get this on a routine, you can learn more about on page SEO for your real estate website that might help you rank higher on the search engines. Remember your goal is actually not to rank on the search engines alone. It’s to close transactions with visitors who find your page on the search engines, click through and then register becoming a lead. Knowing this, you’ll want to make sure you include clear Calls to Action and items of value in each piece of content. On seller blog posts, you’ll include home value offers and seller guides. On buyer blog posts, you’ll include property links, home calculators, and free home buyer guides. I love the power of IDX for real estate websites. IDX stands for Internet Data Exchange and it’s part of the broker reciprocity agreement that allows all MLS listings to be syndicated permitting real estate listings to be displayed on real estate websites through IDX. When you choose an IDX solution, you are essentially making or braking your website’s lead capture. The right IDX solution will allow you to customize your registration forms and thank you pages, where you offer or force registration, how your listings are displayed, and what offers you make in exchange for contact information such as: More Info, Schedule a Showing, Use the Mortgage Calculator etc. Localism is more important than ever. This is a growing ranking factor with Google. In fact, a recent algorithm called “Possum” has many websites fluctuating in the search engines depending on their NAP (Name, Address, Phone) with GMB (Google My Business). Google often shows the Local Pack on the search engines. 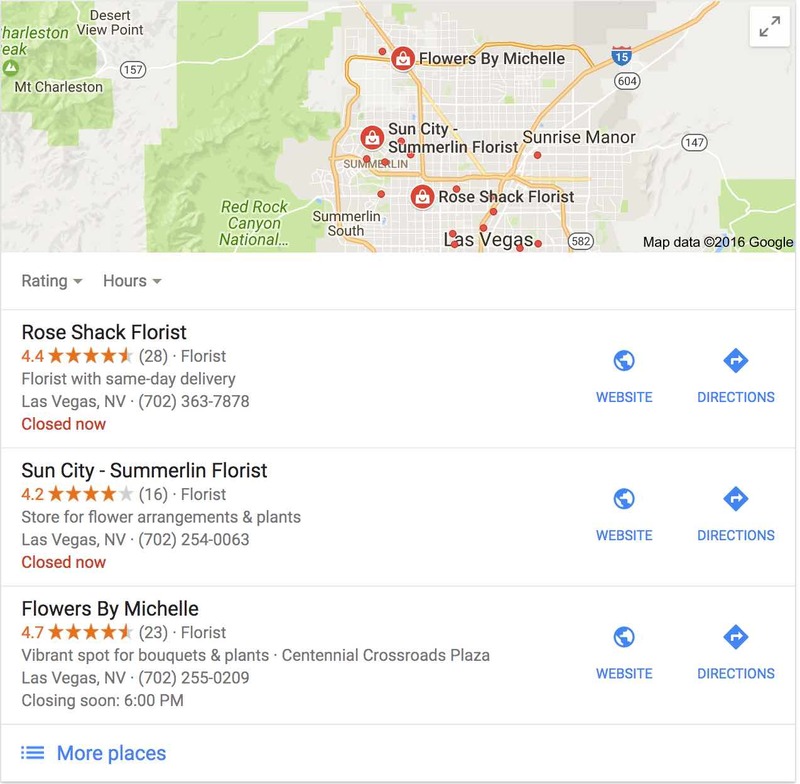 Google is going to show you 3 local properties that match your request when it believes it’s a “local” search where a map is appropriate. This is powered by your GMB page (Google My Business). It also works as part of an algorithm that takes many of your local citations into account such as: Facebook, Foursquare, Yelp, YP and so on. The more consistent your NAP is with these citations, the better the odds are that you will rank in the local pack. Don’t stuff in SEO, but do make sure you choose as many appropriate categories as you are able to select. Include hours, photos, services, products and any other options you have to complete your profile on all of these local channels. Don’t skip. It matters. If you change the name of your business, address, phone, or website at any time, it’s worth changing it on all local channels. You can use this free tool at Moz.com to see how you are doing with your LOCAL SEO. Tip: When thinking local, don’t forget to check your real estate portal profiles such as Zillow, Trulia, and Realtor.com to make sure they also match your established NAP. On your website, be sure your NAP appears on every page. On WordPress, this is easy to add as a footer. Looking for help ranking on the search engines? Ballen Brands, a digital marketing company for real estate agents, can help. Ballen can start you off with an SEO friendly website and then provide search engine optimized content that is focused on the consumer experience and then is reward by Google. Call 702-917-0755. Make sure pages on your website load in less than 3 seconds. Use a page speed checker like Pingdom.com to measure. 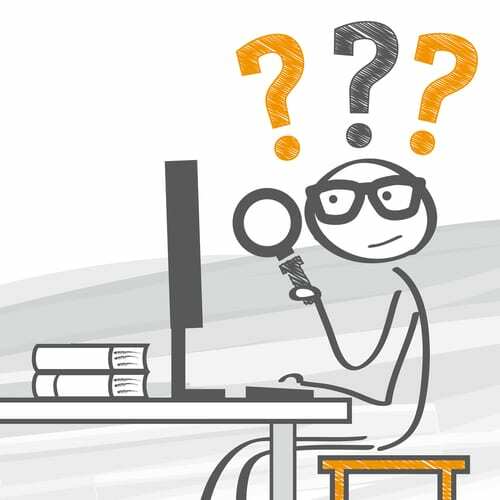 SEMRush – A tool to measure where your keywords rank on the search engines. Use this tool to measure ranking for one domain over another or several others. View a page on your website and see what keyword phrases your page ranks for and where. Get scheduled SEO reports, SEO Checkups and so much more. Ballen Brands is a digital marketing company specializing in search and social helping business professionals rise above the noise. Our mission is to empower the small business owner to take control over their marketing platform. Our products were born out of our own pain points. We needed to solve a problem. We use these products in our own business, so we’re certain they’ll work in yours. We didn’t create products to sell, we developed solutions and are proud to share them with you. Let us show you what’s worked for us. Our marketing team is available to help you build or grow your brand to the next level of success. Our marketing team’s expert services include BREW (Ballen Real Estate Websites), content creation, property pages, pay per click services, and more. Ballen’s live events are crafted and delivered in a way that seems effortless, flawless, and with charisma that makes learning seem simple. Events include 1-Day or 2-Day classes in your market center, or a market center near you, as well as monthly webinars, and personalized hands-on workshops. These events are specifically designed and structured around what you have asked for and have requested to learn. We took your requests and structured events to help you dominate your market, climb the search engines, and generate more leads online. The Ballen Team offers coaching and training on all levels to grow your business through your web presence, evolve your marketing through The Ballen Method Curriculum, or dig into nitty-gritty, with intense one-on-one engagement with our experts on best business practices and marketing. Take the opportunity to learn directly with Lori and her team on the processes for online lead generation, how to take your already growing website to the next level, and more. We also provide consultation services to help you structure your online marketing plan and pave the path to your success. Whether you’re seeking high-level coaching and instruction, a company to generate leads for your real estate business online, a marketing company who can help you establish your online presence and take your small business to the next level, or an educational company who can teach you how to grow your business online, Ballen Brands is a name you can trust.